In today’s post, I want to cover the top 49 reasons people start a business, as I see it. If you own your business, have you ever stopped to think about WHY you got started in the first place? I know that I have several reasons with some being good reasons and some probably not so good. One thing I do know is: I am happy that I did start my own business. Don’t get me wrong, it has not been a bed of roses and to be brutally honest, it has been a thorn patch a large part of the time, but I love pain. Yes, they call that a masochist don’t they? I don’t believe I am actually a masochist, because I don’t necessarily like the pain, but I love the wonderful feeling of coming through that pain to reach that feeling of satisfaction and being able to truly enjoy the struggle to success. I have decided to really delve deep into the various reasons people start a business. Starting from #49 and working to #1, these are the top reasons. It may be that person that is always baking and his/her friends and family keep telling them they should open a bakery. Or that buddy that is always helping us with our automobile mechanical issues; we tell them they should open their own automotive and repair shop. It didn’t happen to me, but many other people are simply talked into starting a business. Is it a good reason or a bad one? You get tired of throwing ideas out in those meetings at your slave job and having people laugh, snarl or ignore you. If they would just try one of your ideas, but it never happens. So you start your business with the intention of using your own ideas. Working for another entity can give nightmares portraying you rowing a ship with chains attached to your legs or stomping mud to make bricks while a Roman soldier whips you for not moving fast enough. Maybe you worked for a company that used a method of selling that you felt was bad. By starting your own business, you can use the selling method you want to use. It is similar to the same reason people purchase a home instead of renting one; they can call it their own. No, this is not the same as #48. This is the time when you have had an idea stored in your head and you will not share that idea with anyone for fear they will run with the idea before you do. If this is your only reason for starting a business, you are likely to be disappointed. Very few people become famous from starting a business, but some people do believe they will become famous if they do. Hopefully, these people have additional reasons to launch a business. Otherwise, they will be disappointed. 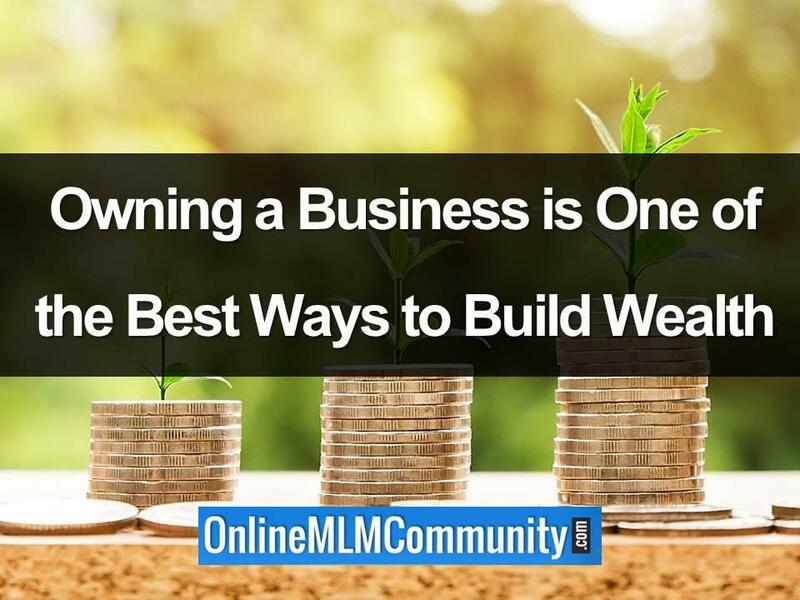 I believe this is one of the most popular reasons people start a business. Whether it is helping people with a product or service, or helping employ people; helping other humans is a wonderful reason to start a business. While some folks avoid responsibility at all costs, othe people embrace it. Trust me, you will get much more responsibility when you start your own business. Many new businesses have to work with people and companies in a different culture. You may be able to learn Chinese, Indian or another language and see how the other culture does business. Many people start a business because they were told by friends or family that they couldn’t do it. I will admit that it is one of the reasons I do what I do. Many people told me I would go nowhere as a writer. Many of those people have bitten their tongue. This somewhat goes along with helping people. By starting a business, you can have a better ability to help organizations and foundations that are helping mankind. Success is gained by making multiple mistakes. Failures are a part of business and you will either learn to embrace failure or quit. Personally, quitting is not an option. Maybe you do not like the impression consumers have of the industry you are in. You have an idea to improve it and you can use that idea in your particular business. With the cost of fuel and wear and tear on our vehicles, it makes good sense to start a business close to home, or even in your home to reduce or eliminate your commute. This probably should not be your primary reason in starting a business, but as a secondary reason, it is a good one. You can be mentored by experts in the field you are diving into. And yes, you can also be the mentor. You can help other people grow and learn. When other people who have been hesitant in believing that they could start a business and be successful see that you were able to do so, they may gain inspiration and will also start their own business. Maybe you were tired of that small cubicle that was called your office. Now you can have that dream office with a huge walnut desk and glass overlooking the city you reside in. Or maybe it will be a corner of your home’s basement. Some people are able to manage their business while on a ship in the Caribbean. Or maybe you want to backpack Europe. Yes, some businesses can be managed from anywhere you desire to be. Maybe knowing that you could sleep late or go to bed early is the reason you started your own business. Yes, a flexible schedule is possible, just don’t let it be too flexible or you may lose clients. Personally, I believe this to be a great reason to start a business. You may be tired of supporting the brand you were enslaved at, and you want to be the slave owner instead of the slave. Here is another great reason to start a business. Maybe people are screaming for a great bakery. Or they travel to the next town to buy their hardwood furniture. Starting a unique business in your community can lead to huge profits. Helping to drop the unemployment rate is another good reason to start a business. Not only are you helping yourself, you are also helping your fellow humans. Maybe you are the type of person that seeks a challenge at all points. You have climbed Mt. Everest and parachuted. Now the challenge is building a successful business. You will win the challenge. What an admirable reason for starting a business! The fact is, every business does make a slight change in the world, and some make huge world changes. I honestly believe this is a great reason to start a business. When you work a regular job, you may find yourself surrounded by people you would not normally want to be around. When you own the business, you can choose the people you work with. I mentioned fame earlier, and I do not believe this is the same. Just being recognized by the local Chamber of Commerce or publications relating to your business area can be quite fulfilling. Owning your business may allow you to drive a nicer vehicle, own a better home or dress in better clothing. Maybe you can eat steak this week instead of hamburgers. Grandpa always told me the best way to learn is to just jump in and do something. Yes we will make mistakes, but through those mistakes, we will become experts. I believe many people get bored easily. They are always searching for something new and different. While this may be a great reason to start a business, we need to realize that when boredom sets in, we cannot give up on the business. Networking is a huge part of business, but I must warn you that if this is the only reason you are starting a business, you may falter. You will not have to work when you start a business. I can hear some business owners screaming as they read this. What I mean is, you love what you are doing so much that it is not work, it is fun. Just being able to say, “I own that,” or “I built that,” can be a wonderful pride boost. Every single person has talents that are hidden. When you own your business, you can break those talents out. You can surprise both yourself and the people you love. When you are retired and telling your Grandchild the story about the business you built, just look at their eyes and see the awe they have in you. It is so great when we can take a dream, make a plan, and develop that dream into reality. This may go along with pride, but I also believe it goes along with plain old satisfaction. I totally agree with this reason. I have watched a few people get fed up with lay-offs. The process of getting unemployment and waiting for a call back or searching for a new job can be frustrating. Starting a business may be the way to defeat this problem. Many people start businesses with this goal in mind. And, they have become millionaires doing so. Create the business, sell it for big profits and then start another business or retire and travel the world. It may not make sense, but one of the best ways to learn new skills is to start a business in the area you want to learn. Hire experts and watch them and learn. Maybe there are some things in business you dread doing. Delegate the task to your employee or contract labor. I doubt you will fire or lay yourself off. Yes, there is better job security when you own the business. In many cases, people who start businesses use this for a reason, but they spend so much time in the business that they still neglect their family. If you are using this as a reason, be sure and make it happen. There can be major tax benefits in owning a business, but I do suggest that you hire an accountant to make sure you get those benefits and that you do not make a mistake and get in trouble with the IRS. To have something to remember you by when you die. To leave something to your children, grandchildren and great-grandchildren. Many people go through life working jobs they hate. Starting your business because it is something you love doing and you care about is a perfect reason. Naturally we start a business with the goal of making more money. It may not happen immediately, but if we plan and work the business properly, we can and should make more money than we did enslaved in a regular job. Well there you have it… The top 49 reasons people start a business. What were your reasons? 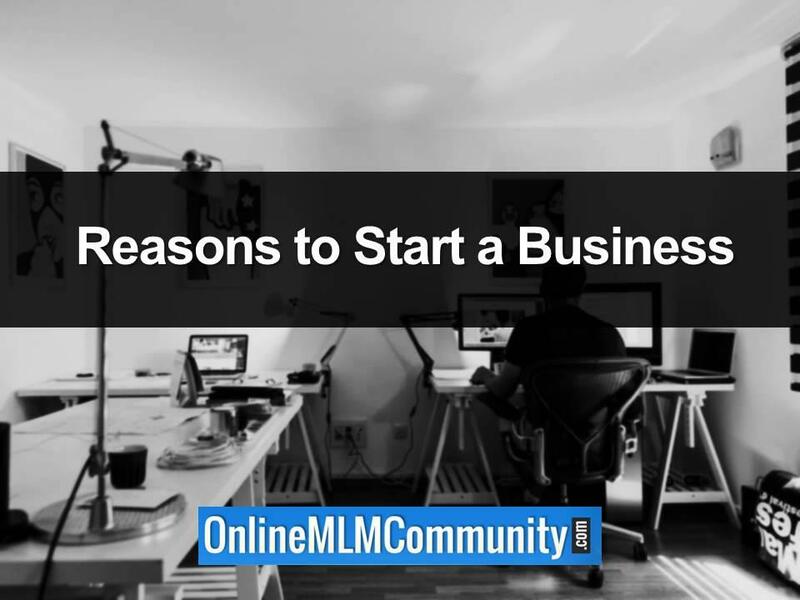 If you haven’t started a business yet, for what reason would you start a business? If you do own a small business, having a efficient marketing funnel will help you grow that business. Chuck created a course to help you understand how to build a successful marketing funnel. Click here to learn more. Are there any reasons I missed? You can post all comments and questions below. Thank you.